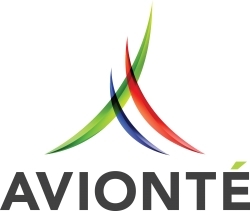 Avionté Staffing & Recruiting Software announced the release of E-Signature Documents powered by Adobe Sign, providing a fully streamlined and integrated e-signature document management solution for paperless onboarding. Minneapolis, MN, February 26, 2018 --(PR.com)-- Avionté Software, leader in technology solutions for the staffing and recruiting industry, announced the release of their new e-signature document solution, E-Signature Documents, powered by Adobe Sign. By integrating Adobe Sign, Avionté’s Recruiter and Talent Modules allow staffing and recruiting agencies to self-serve by creating, storing and managing e-signature documents as a part of their onboarding workflows. This streamlined integration empowers staffing agencies to provide a seamless talent experience from application all the way to new hire paperwork. Adobe Sign makes it easy to automate all tasks in document workflows, from e-signatures and approvals to filling out forms and certified document delivery, for fast, secure and mobile e-signatures from anywhere. It also helps reduce legal risk with a complete audit trail of every transaction that is automatically stored in a secure, online repository. The candidate experience is enhanced with simple and convenient signing – accessible to talent anytime, anywhere via any device – thanks to Adobe Sign. E-Signature Documents, powered by Adobe Sign are also a scalable solution, ideal for staffing and recruiting agencies of all sizes, all industries and all focuses – from temporary staffing to direct hire. E-Signature Documents are available as a part of the full, mobile onboarding solution from Avionté. This is the newest functionality on the cloud-based Avionté Web Platform, and just the beginning in a series of functionality being released in early 2018 to enhance the onboarding process. Additional onboarding partnerships are also planned for early 2018 to give clients one end-to-end onboarding solution. Avionté provides a fully integrated staffing software solution to the US and Canada-based staffing and recruiting industry. Avionté’s innovative technology solutions were designed with tomorrow’s recruiting in mind, offering a cloud-based infrastructure with the highest level of flexibility. Avionté has become a leader in its space and now provides staffing and recruiting software to over 500 customers and over 15,000 users.